Learning to dive couldn’t be easier with Divers’ Lodge. Our centre in the beautiful Red Sea resort of Hurghada will give you access to the most amazing underwater scenery and marine life in the world. The crystal clear warm waters offer visibility often in excess of 30m and the year-round sunshine means that you will enjoy every moment of your holiday. 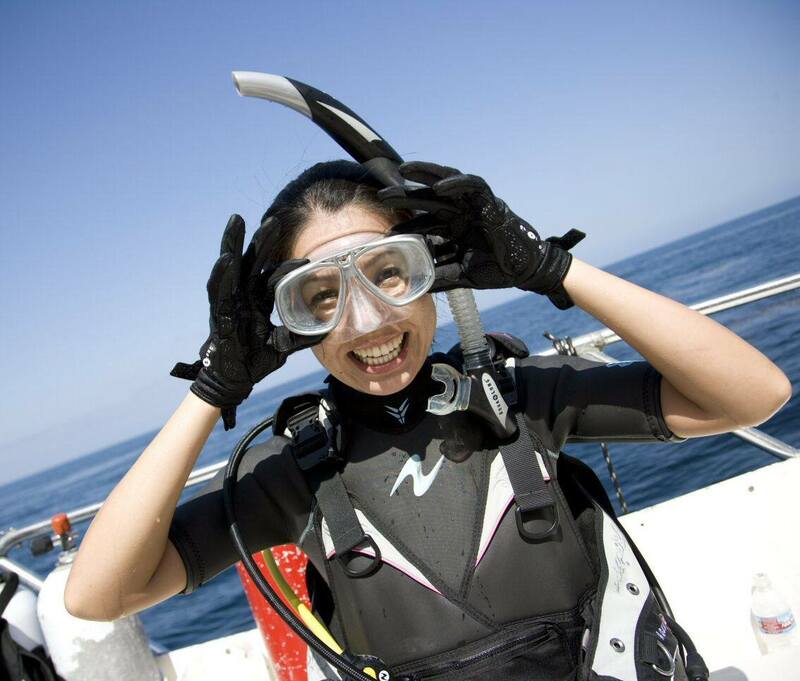 Divers’ Lodge are experts in providing specialist tuition for divers of all levels. We offer learn to dive training from internationally-recognised PADI, SDI and BSAC – from one hour taster sessions right through to your Open Water qualification. Most courses are integrated which means that you can credit your experience against future training. We offer low student to instructor ratios to maximise individual attention. Courses are available in English, Arabic, French, Russian and a variety of other languages. Divers’ Lodge will personalise your training programme to suit your needs so you can learn at your own pace, fit in your diving with your timescale and budget and still find time to relax in the sun! Try out basic scuba skills in confined water (pool), and then experience your first dive in the Red Sea, all in half a day. You may be able to credit your dive skills towards a full scuba certification. Upgrade to PADI Scuba Diver in just one and a half days. Please note: The course includes equipment rental. Extras: Lunch on boat trips and marine park fees (75.00 EGP incl. unlimited soft drinks, payable on the boat). As a PADI Scuba Diver, you may dive to 12m maximum depth, under the direct supervision of a PADI Divemaster, Assistant Instructor, Instructor or higher professional. Children aged 10-14 years can earn the PADI Junior Scuba Diver certification. Please note that, as your depth is limited to 12m, if you plan to make guided dives after finishing your course we require you to have a private dive guide. You may decide to upgrade your certification at any time to PADI Open Water Diver Course by completing a further two days training. If you have already completed parts of your course in another location you can get your final training and certification here. Please contact us for more information, booking and rates. Please note: The course includes equipment rental. Extras: Educational materials (may be purchased from our Shop at Divers’ Lodge). National park fees and Lunch on boat trips (75.00 EGP incl. unlimited soft drinks, payable on the boat). You can earn the PADI Open Water Diver certification; the most widely recognized scuba qualification worldwide, in four days. With your instructor, you will cover the fundamentals of scuba diving, including dive equipment and techniques. During this diving course you will complete five confined water (pool) dives and knowledge development sessions, and a minimum of four open water dives in the Red Sea. Have you completed your confined water training, knowledge development, quizzes and exam with a PADI center elsewhere, during the past year? If so, just make your 4 open water dives with us in the Red Sea to get certified as a PADI Open Water Diver. The Referral course takes 2 days. You must bring your referral training record, completed and signed by your instructor, when you check in. Please note: The course includes equipment rental. Extras: Educational materials (may be purchased from our Shop at Divers’ Lodge, approx. €80.00). National park fees and Lunch on boat trips (75.00 EGP incl. unlimited soft drinks, payable on the boat).